The opportunity of an extra day in the caravan is one not to be missed. The Boss has finished his shift at 10am and is ready to go, but the weather is rotten and I’m struggling to summon motivation. As he sulks looking at the floor his phone rings, can he do another shift starting 9pm tonight. I can see the ‘Numbskulls’ in his head thinking, “Yes, I’ll do it, but I will take Friday off”. The joys of a zero hour agency job, a three night trip is ‘back on’. The 9pm shift finished at 2am, a few hours sleep then we were up at 9am ready to go… but where? A call to Kia-Ora Nursery Campsite, near Chichester and we have a pitch. Only fifteen minutes hooking up at the storage yard before we are towing southwards towards the coast. 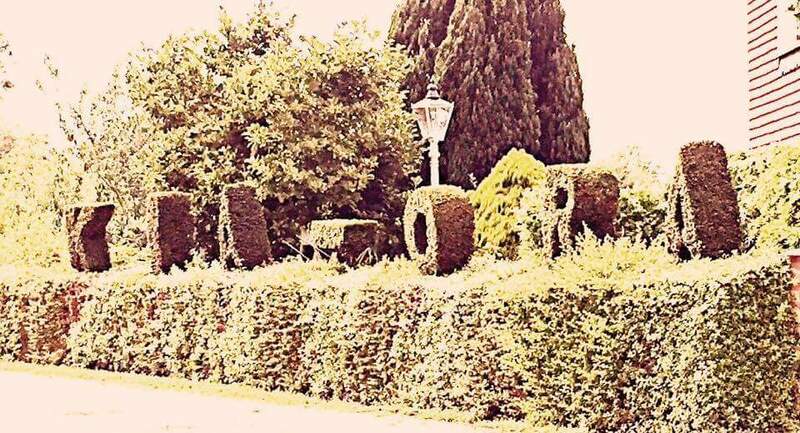 Always on the lookout for decent local caravan sites we instantly like Kia-Ora Nursery, very relaxed owners and it seems all our fellow caravanners are repeat visitors. Beans on toast in the sun, lovely, another phone call, our eldest Jellybean is bored, we invite her down, one hour later she arrives plus pillow, in a haze of perfume with a bag bearing gifts of fresh orange juice, wine and a change of clothes, must be staying the night then. A footpath bisects the site. Apparently the coast is just five minutes down this path, the lure of the sea is too much, off we trot. The path opens up and signposted footpaths lead us past fields of horses enjoying the late afternoon sun and past fields of ‘dead’ farm crops. These fields of ‘dead’ blowing in the breeze turn into fields of wheat. Long grasses adorn the paths, dancing ahead of us. All sounds very romantic, in reality for my little legs bedecked in shorts this grass scratches the living daylights out of my legs and nettles and thistles look at me menacingly from the sidelines. 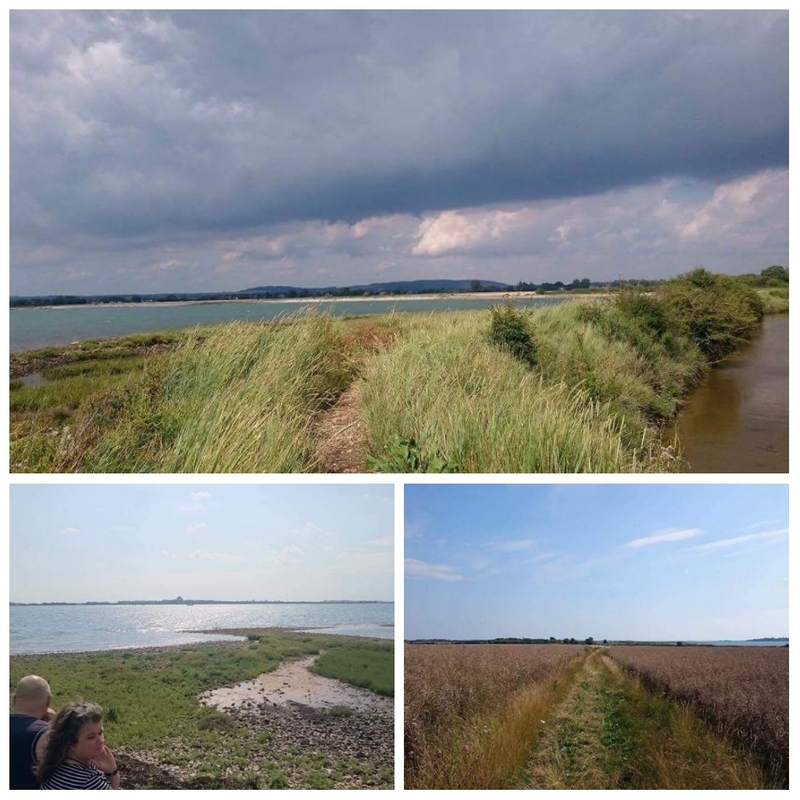 Down to Chichester Harbour where we watch Army Helicopters over on Thorney Island and chat to a bloke playing fetch with three swimming Labradors in the choppy waters. A small spit of land beckons us, choppy waters on one side, calm waters on the other side. Me and the Jellybean embark on a bit of beach combing. Shells and seaweed cover the spit. Flip flops might not have been a good choice of footwear as I slip and slide over the pebbles. At least when I accidentally put my foot in a small rock pool it was only my foot that got wet. Wild sea birds bob around on the waves. Others diving deep, whilst some root around in the mud flats for today’s dinner. Somehow predicting later events, we had our evening meal at the local Emsworth ‘Harvester’ enjoying free salad then rotisserie chicken, we skipped on the ‘signiture ribbs’ though!!! 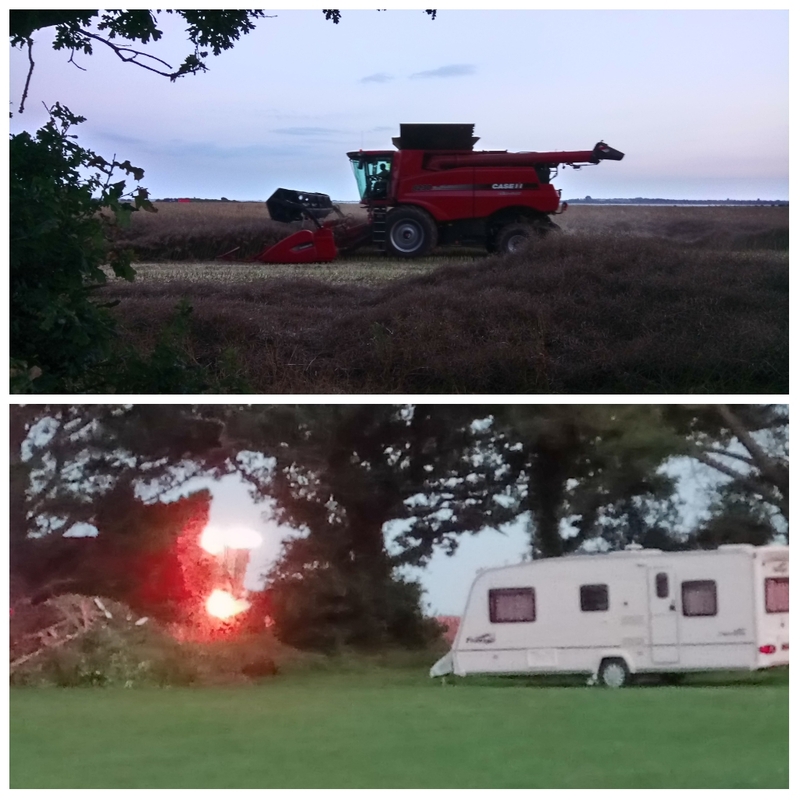 On our return to the caravan we found out that the ‘dead’ crops are infact rapeseed crops, the bright yellow fields that have many people sneezing and scratching their eyes through April and May, tonight is harvesting time. From previous experience we know this process can run long into the night but it’s not something you see everyday and sure beats the TV as you enjoy your wine. Citronella candles lit, warmer clothes added, its summer! I’m sitting out as long as I can. 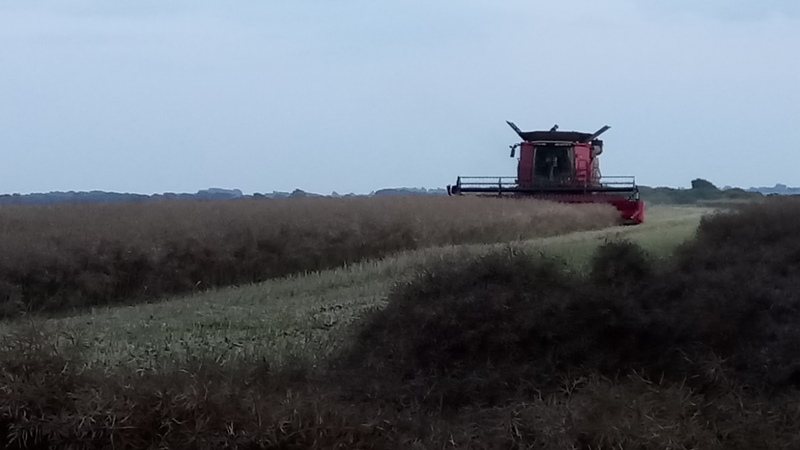 The hum of the combine harvester provides the backing track for this evening, preferable to the Jamie Cullum hour any day. Not quite sure what our guest thought of our impromptu ‘Wurzels’ sing-a-long though. As the sun sets, day light is replaced by the bright lights of harvesting as he relentlessly works his way up and down the field, crops have to be in before tomorrow’s predicted rain. They were still going long after we retired to bed at midnight.